Coastal defenses such as the breakwaters are important structures to maintain the navigation conditions in a harbor. The estimation of their hydrodynamic characteristics is conventionally done using physical models, subjecting to higher costs and prolonged procedures. Soft computing methods prove to be useful tools, in cases where the data availability from physical models is limited. The present paper employs adaptive neuro-fuzzy inference system (ANFIS) and artificial neural network (ANN) models to the data obtained from physical model studies to develop a novel methodology to predict the reflection coefficient (Kr) of seaside perforated semicircular breakwaters under low wave heights, for which no physical model data is available. The prediction was done using the input parameters viz., incident wave height (Hi), wave period (T), center-to-center spacing of perforations (S), diameter of perforations (D), radius of semicircular caisson (R), water depth (d), and semicircular breakwater structure height (hs). The study shows the prediction below the available data range of wave heights is possible by ANFIS and ANN models. However, the ANFIS performed better with R2 = 0.9775 and the error reduced in comparison with the ANN model with R2 = 0.9751. Study includes conventional data segregation and prediction using ANN and ANFIS. 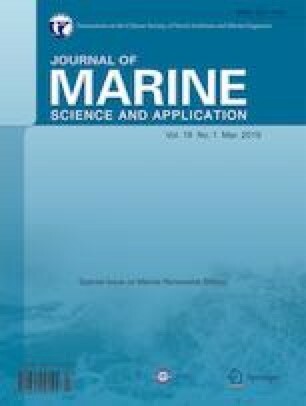 • In cases where the data availability from physical models is limited to know the hydrodynamic characteristics of the semicircular breakwaters soft computing methods prove to be useful tools. • ANFIS and ANN models were employed to the data obtained from physical model studies to develop a novel methodology to predict the reflection coefficient (Kr) of seaside perforated semicircular breakwaters under low wave heights, for which no physical model data is available. • The possibility of prediction for below the ranges of trained data is checked by two models and compared with each other and with physical experiment data and the results were found to be good.